Most diets are focused at the obvious – boosting metabolic speed and fat burning. What is not so obvious in a diet is not just how much you burn but how less you eat. A majority of diets fail to take off because while they have helped dieters burn fat but they have not been able to control the recurrent hunger pangs. Dieter’s eat less and therefore constantly feel hungry. Unless this hunger is properly controlled one cannot hope to lose weight or find long term solutions to the problem. 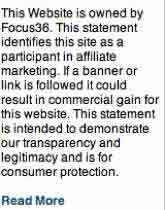 It is exactly this issue that has been addressed and effectively tackled by Re-Body. The product uses the age old goodness of saffron which has long been known as an appetite suppressant and mood enhancer. What Are Re-Body Hunger Caps? Re-Body is a clinically tested weight management product that uses the natural goodness of saffron to produce the desired effects. 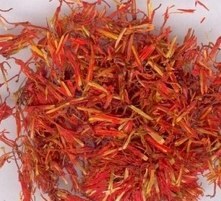 Saffron has been used since ancient times as a panacea for insomnia and depression. It has been known to affect weight and suppress appetite for a long time as well. Its healing powers are found to be beneficial for a number of serious conditions including cancer. It is also a spice and seasoning ingredient which is quite expensive and therefore used sparingly. Now the goodness of this product can be found in more affordable manner through the Re-Body veggie capsules. The product has gone through numerous clinical trials all of which show that it can create a feeling of fullness in the body and prevent one from snack or sugar cravings between meals. The breakthrough scientific formula has led to the development of the proprietary ingredient Satiereal® which is supposed to reduce cravings for snacks 100%. It is also known to greatly enhance the mood and add to the feeling of well-being. As a result it keeps depression at bay which is a major cause for people to crave for sweets and junk foods. Though some results can be seen in a few days, ideally one should take it for at least 8 weeks for best results. One should take two capsules daily – once in the morning before breakfast and once in the evening before dinner. The main ingredient is the Satiereal® Saffron Extract. Other ingredients include Vegetable Cellulose, Silica and Rice Bran. How do Re-Body Hunger Caps work? The saffron extract works as an appetite suppressant which leads to lesser cravings. The rice bran and vegetable cellulose in the product fills up the stomach and slows down digestion which in turn keeps one full for a very long time. The fullness lingers to some extent even during mealtimes which leads to more controlled intake of foods and calories. Since saffron is an excellent mood enhancer it works as an antidote for depression and insomnia – conditions that often drives one to eat even when not hungry. It creates a feeling of over wellbeing and positivity which lightens the mood and easily divers the mind from food. Saffron is a naturally found ingredient therefore chances of side effects are quite minimal. However, it may interact with certain medications one is taking at the time therefore it is advisable to consult a physician before taking these veggie capsules. One major drawback is that it usually takes 8 weeks for the product to show sustainable results. That is quite a long time and most dieters might lose patience and revert to their original diet patterns. It works faster on moderately overweight people but for those who have considerable weight it may take longer. But clinical trials have proven that it does work, so all one has to do is be patient for the results to show. One thing is sure, if continued properly this product can offer a rare prize – long term solution in weight loss. 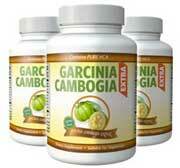 The diet pill is making headlines currently is Garcinia Cambogia Extra. Containing two of the most powerful natural substances (garcinia and raspberry ketone) it can not only burn fat but inhibit the fat producing process. It can also suppress appetite and lower cholesterol levels.